Today’s my last day in the office, and I can’t wait for the Christmas break to come, but as another year of campaigning comes to an end I wanted to add to some of the great blogs already written – see this from Pete Moorey on some campaigns from the UK, and this masterpiece from MobLab on lessons from around the world – with 5 campaigns that I’m taking learning from this year. 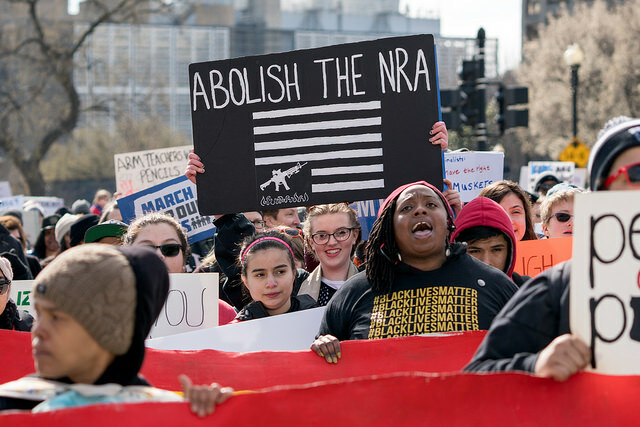 1 – March for our Lives – for me, one of the themes of 2018 is that it’s been a year when young peoples have been at the forefront of some amazing campaigning. From the tragedy of the shooting at Stoneman Douglas High School in Florida has come the most inspiring, strategic and amazing movements. Hundreds of columns have been written about the campaign (this is the best summary for NGOs), but there is so much that all campaigners can learn – from the importance of having a super sharp theory of change focusing on those politicians who are funded by the NRA to engaging with real authenticity on social media, and much more as you can see from this Vice News film. Perhaps as importantly there is a lesson for large NGOs that sometimes it’s time to get out of the way – stepping back and providing support quietly behind the scenes so other voices can be heard. 2 – Repeal the 8th – another year, another crushing referendum victory in Ireland, this time. Once campaigners across the Irish Sea show us how to run smart and savvy campaigns with messaging and narratives discipline at it’s heart. As this article by Fintan O’Toole suggests we could all learn from be honest, talk to everyone and tell personal stories. The campaign echoes so many similar lessons that the campaign for marriage equality in Ireland used back in 2015 – I keep coming back to the lesson about the importance of finding a message that worked for the key ‘middle million’ in the Yes Equality referendum campaign and sticking to it as an example of why message discipline works. Oh and Irish campaigners also got their government to divest from fossil fuels this year. 3 – A People’s Vote – I’ve been fairly critical of the lack of a clear theory of change for some of the campaigns, and while I still can’t work out why they’re sending me so many emails + the obsession with the EU flag, I’ve been really impressed with the way that the ‘Remain’ campaign has sharpened its approach this year. The relentless focus on local activation is part of that – as is some really impressive content to help you engage in your community, exactly what’s needed if the campaign wants to be successful. The next few weeks are going to be turbulent in UK politics, but kudos to Best for Britain for putting the option firmly on the political agenda, and a lesson for all campaigners about continually reviewing your theory of change and approach. 4 – Gilet Jaunes – Not a campaign that has inspired, but I think there are some interesting lessons coming out of the success of the ‘Yellow Vests’ movement in France to push the Macron government into cuts on fuel duty and a rise in the minimum wage. How has a movement without any visible leadership has achieved so much? It’s an example of a campaign that is harnessing new power to win change – much of it incubated by regional groups on Facebook which were then amplified by the change in algorithms to focus on local content, and providing very easy ways to get involved – exactly the peer driven & made by many characteristics of new power campaigns. 5 – Organise – One of the untold stories of 2019 has been the rise in organising in companies that haven’t traditionally seen it – from the tech industry where employees at Google have walked out over sexual harassment allegations and helped to get them to drop a censored search engine for the Chinese market, to McDonalds where Unions have supported workers to go on strike over wages. Organise is a platform providing the tools to help workers campaign for better rights, using WhatsApp, Facebook Messenger and other tools to help reach workers to join together. For me the platform has lots of lessons for campaigners about how you can engage an audience who might be hesitant to take action, use surveys to get tips for campaigns based on the experiences of members and bring people collectively to give them confidence to take action – there is lots more in the approach to unpack in this episode of Reasons To Be Cheerful. So that’s 5 campaigns from me that have inspired in 2018 – what would you add to the list. Main image from Lorie Shaull used under Creative Commons.